Why New York Is the Worst Vacation City in the U.S.
New York City is the No. 1 least affordable vacation city in the United States due to its high hotel costs, expensive attractions and steep sales tax, according to a GOBankingRates study of 50 popular vacation cities in the U.S. While the Big Apple does offer some of the country’s most popular tourist attractions, shopping and museums, the high costs associated with staying in the city can quickly eat up your entire vacation budget. New York City has some of the most spectacular accommodations available, including the landmark Plaza Hotel, but the costs can seem excessive. According to data used in the GOBankingRates study to rank vacation city affordability, the median cost of a hotel stay in New York City is $200 per night. A three-day stay, for example, can run over $600, and that doesn’t even include expenses such as meals, entertainment or shopping. One way to significantly reduce hotel costs is to use travel websites like Hotwire, Groupon and LivingSocial. Hotwire compiles deals specifically for the area of town you would like to stay in, and you can find several hotels under $200 a night. Groupon is currently offering several discounted hotel stays starting as low as $99 a night. Part of what makes New York City such a popular destination is the sheer amount of attractions that are available for people with all sorts of interests. 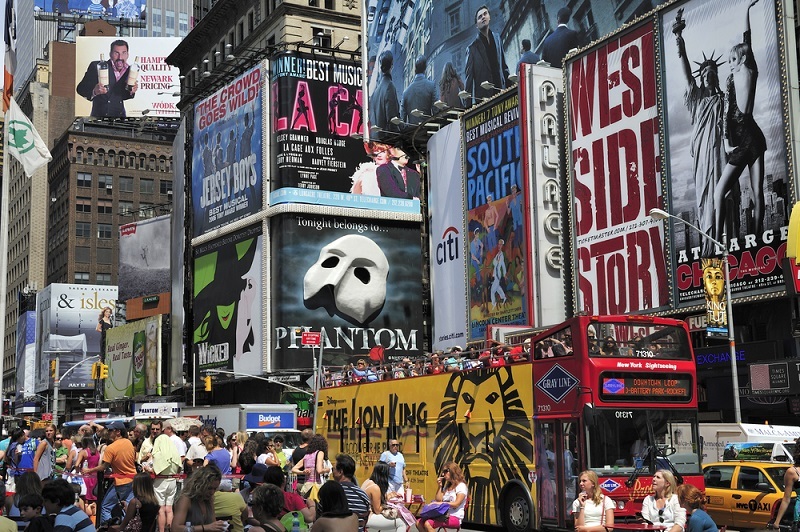 From visiting the Statue of Liberty to taking in a show on Broadway, there is something in New York for everyone. Costs of taking in all of the sites, however, can rack up quickly, especially without planning ahead. For example, say you want to take the family to see the latest Disney-inspired Broadway show, Aladdin. Tickets start at $90. What you would spend on one matinee could pay for staying another day in the city to see other attractions. Because New York has a vast amount of things to do — as well as good public transportation — however, there are inexpensive ways to enjoy the city. Smart Destinations is a website that offers packaged admittance to popular attractions such as the Empire State Building and the American Museum of Natural History, and buying a pass like this can save you as much as 45 percent off of door prices. You can also take advantage of free attractions the city has to offer such as visiting Central Park or the beautiful St. Patrick’s Cathedral. Many visitors flock to New York City to take advantage of the amazing diversity of retail stores. Shop smart by looking for good deals and learning about the city’s sales tax. Don’t buy your Times Square souvenirs at the first store you stop in, for example, because there are likely several other stores down the street with the same items priced competitively. Currently, New York City’s combined sales and use tax rate is 8.875%, so factor that into your shopping budget. Be aware, however, that New York City does not charge sales tax on items of footwear or clothing that cost $110 or less. Moreover, since the city assesses tax on clothing based on single items rather than a purchase total, you will only have to pay the full 8.875% sales tax on any clothing item that costs more than $110. Ultimately, New York City offers an abundance of dazzling attractions, inspiring landmarks, great food and more that make it an exciting place to visit. The cost of just a hotel stay, however, as well as many of the most popular things to do when visiting, make it the least affordable city for vacationers. GOBankingRates curated 50 of the most popular vacation destinations in the United States, grading each on the factors that impact travelers’ budgets the most: hotel prices, airfare, food and drink expenses, and ground transportation costs. Data on three-star hotel prices, local food and drink expenses, and ground transportation costs were provided by numbeo.com (with data pulled April 15, 2015), while domestic airfare information was provided by the Bureau of Transportation Statistics (with data pulled from the BTS’s report for the third quarter of 2014 — the most recent numbers available at the time of writing). No data points were missing or excluded for all of the 50 cities surveyed. The study ranked all 50 cities on their affordability based on a five-day vacation period, weighting each of the categories to be representative of an actual vacation budget: 45 percent for hotel costs, 30 percent for airfare, 15 percent for food and drink, and 10 percent for ground transportation. This article first appeared on GoBankingRates.